The power of light can be transformational, and is a relatively cost-effective way to enhance the aesthetic of your event. 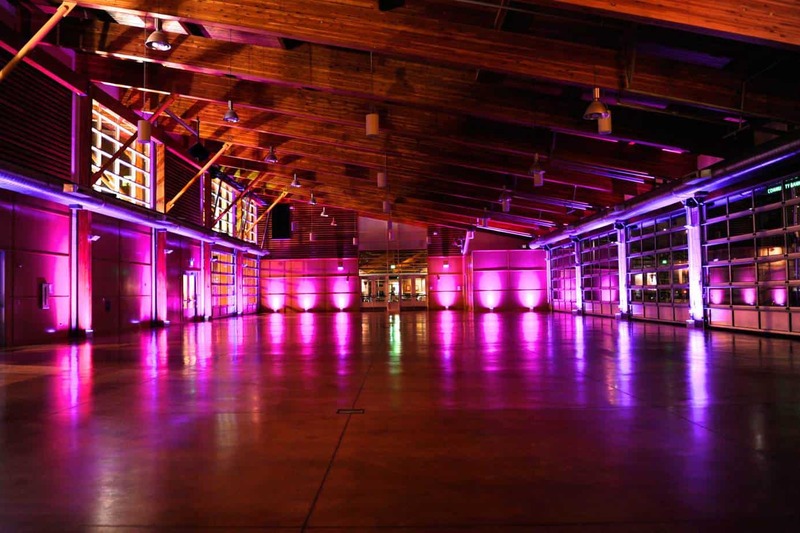 1000 Words lighting services can set the mood for your party, transform your venue space, and create an atmosphere that will wow your guests. 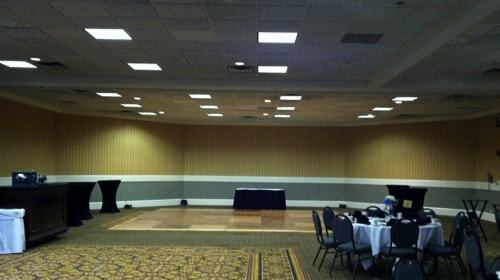 We can color wash a single wall or an entire ballroom with our battery operated LED up-lights, instantly creating a cool effect in the space. Show off your wedding cake or center piece with our battery powered pin spot lighting. 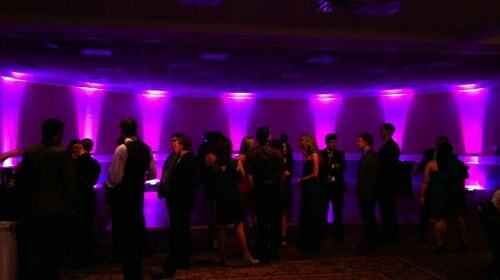 We can even project a custom monogram or logo on a wall or dance floor. Quality lighting can completely transform a venue, making it look larger, more upscale, or completely different to keep guests in awe. Let us help make your special occasion dazzling! 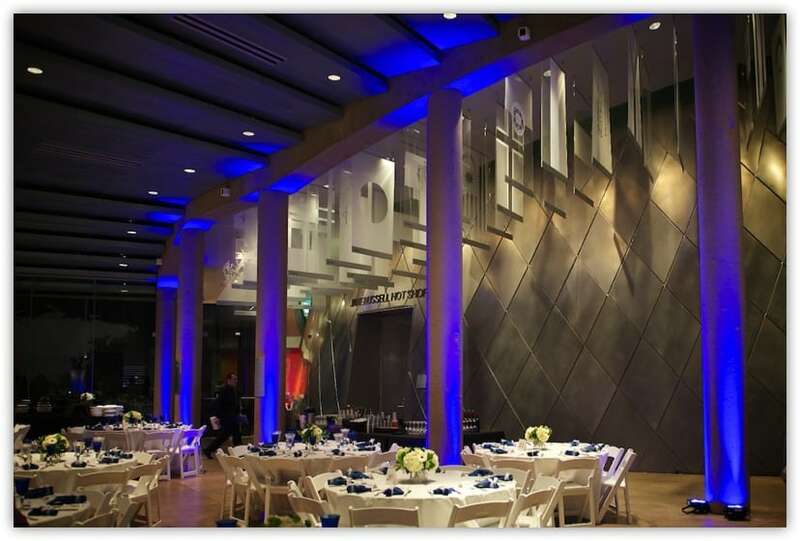 (Event lighting only available to our Washington and Oregon customers). 1000 Words did a phenomenal job at my son’s graduation dance. They completely transformed a school cafeteria with their high quality lighting and gave it the appearance of a beautiful venue. Everyone was in awe upon arrival, and it didn’t end there, they also provided a Photo Booth. They brought fun props for the kids to use that provided entertainment for the entire dance. The kids enjoyed watching themselves and their friends in a continuous slide show projected above for all to see.